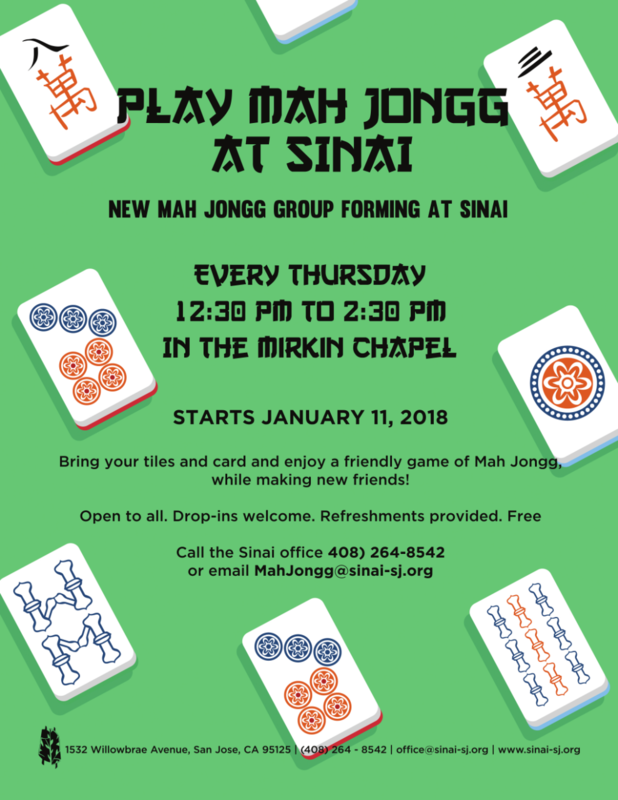 Bring your tiles and card and enjoy a friendly game of Mah Jongg, while making new friends! Open to all. Drop-ins welcome. Refreshments provided. Free.